Membrane protein production for structural studies is often hindered by the formation of non-specific aggregates from which the protein has to be denatured and then refolded to a functional state. We developed a new approach, which uses microfluidics channels, to refold protein correctly in quantities sufficient for structural studies. Green fluorescent protein (GFP), a soluble protein, and bacteriorhodopsin (BR), a transmembrane protein, were used to demonstrate the efficiency of the process. 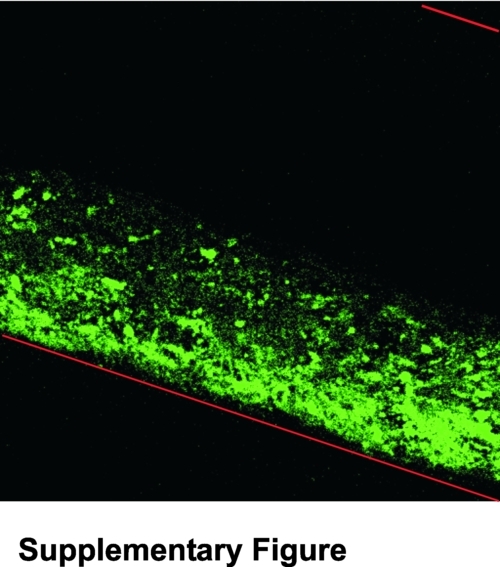 Urea-denatured GFP refolded as the urea diffused away from the protein, forming in the channel a uniform fluorescent band when observed by confocal microscopy. Sodium dodecyl sulphate-denatured BR refolded within the channel on mixing with detergent–lipid mixed micelles. The refolding, monitored by absorbance spectroscopy, was found to be flow rate dependent. This potential of microfluidic reactors for screening protein-folding conditions and producing protein would be particularly amenable for high-throughput applications required in structural genomics. 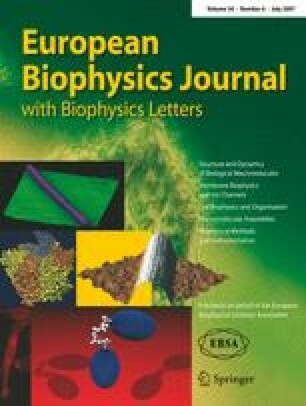 The online version of this article (doi: 10.1007/s00249-006-0125-z) contains supplementary material, which is available to authorized users. This work was supported by the Biotechnology and Biological Sciences Research Council (UK). We thank A. Domin for the GFP plasmid, G. Zaccai for purple membrane from H. salinarium and J. Skepper for the help with confocal microscopy. We are particularly grateful to I. Falconer, S. Hanslip, M. Hutchinson and G. Zaccai for their insightful comments.